The Best Buddies Shop supports the organization’s mission: establishing a global volunteer movement that creates opportunities for one-to-one friendships, integrated employment and leadership development for people with intellectual and development disabilities (IDD). We appreciate your support to help build awareness and opportunity for individuals with IDD. Due to the size and resources of the Best Buddies Shop, we are unable to accept returned merchandise. Please contact us directly with any questions on sizing and materials before placing your order. 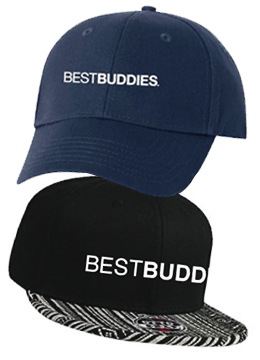 Best Buddies Shop offers shipping within the United States and Canada.The shipping fee is charged per order. When ordering multiple products on the same order, you will only be charged one shipping fee. A single order consisting of a combination of Small and Large items will only be charged at the larger rate. Best Buddies Shop accepts Mastercard, Visa and American Express credit cards as payment. Best Buddies Shop uses Priority Mail for delivery. Depending on where you live in the U.S. or Canada, you can expect 1, 2, or 3 days for delivery. Holidays can also delay delivery times. Your data will be handled confidentially and encrypted with SSL (Secure-Socket-Layer) secure server software. The encrypted information of your order, your name, address, credit card or bank details cannot be read by any third party and is not stored on this website. You will receive an invoice in the order confirmation email that is sent to you right after your payment is processed.